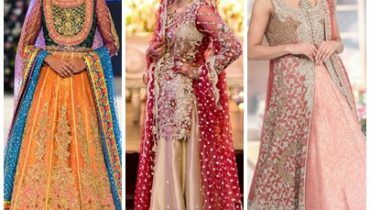 Ghararas and Shararas are pair of wide legged pants that can be beautified in different ways by using laces, gotta work or anything else. Gharara is traditional garment of Lucknow. Ghararas and Shararas are stitched in such a way that they flare out dramatically. Each leg of gharara is usually made from 8-12 m fabric. 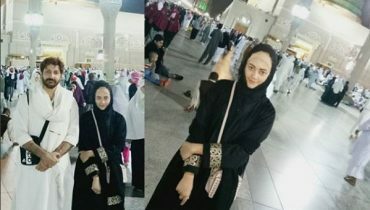 The fabric material can be Jamanwar, silk brocade or chiffon. Shararas use less material as compared to Ghararas. 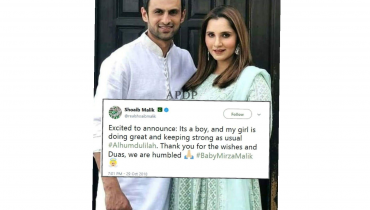 The stuff of both of them can be same. You can combine them with short as well as long shirts. Shararas and Ghararas are fashion of 1950s. Now, they are again back. 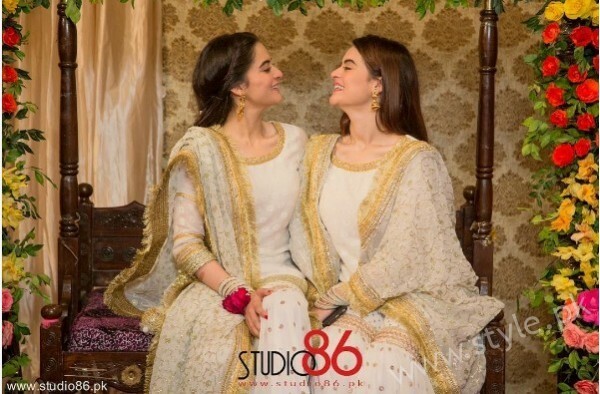 Ghararas and Shararas are Ruling this Season. 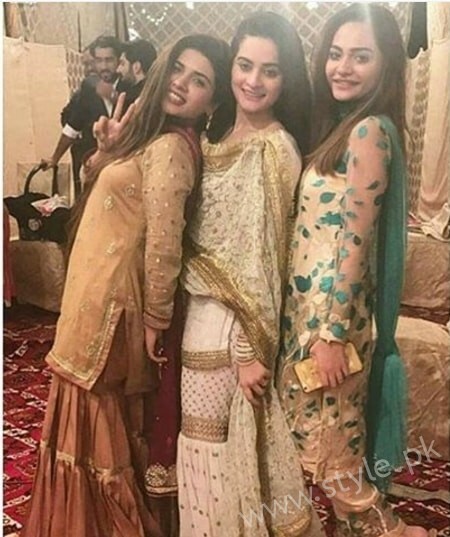 We have spotted many celebrities wearing shararas and ghararas casually as well as formally. 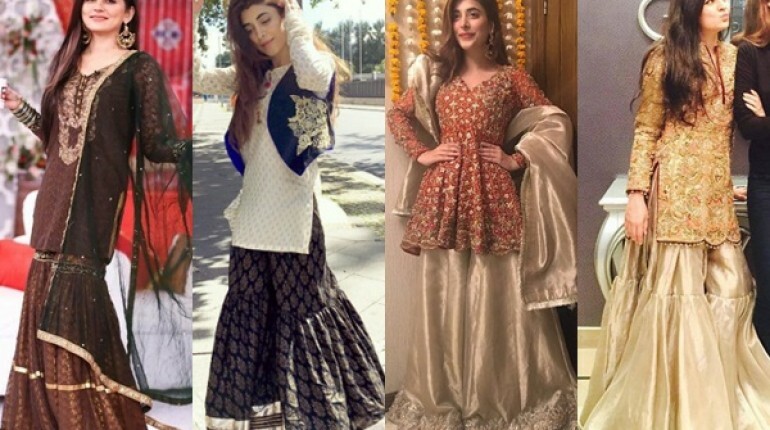 Here we have pictures of celebrities dressed up in Shararas and Ghararas. Have a look. 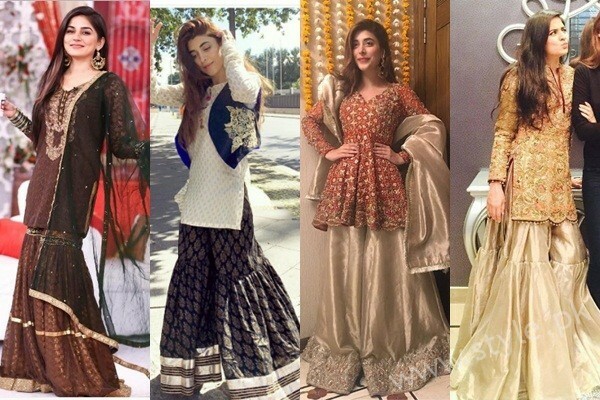 Urwa Hocane wore a combination of Sharara with Peplum Top at her Dholki. 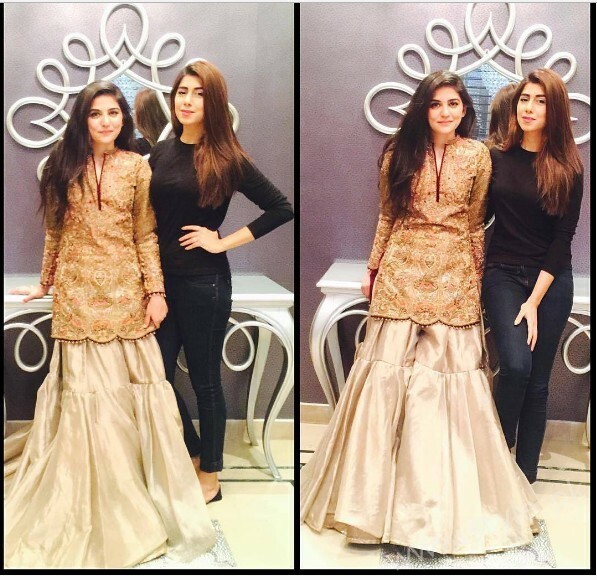 Urwa wore a Jamanwar Gharara at Eid. 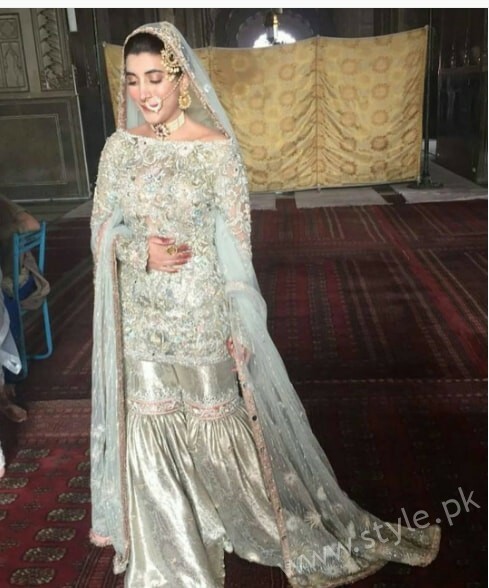 She carried Gharara on her Nikkah Day. 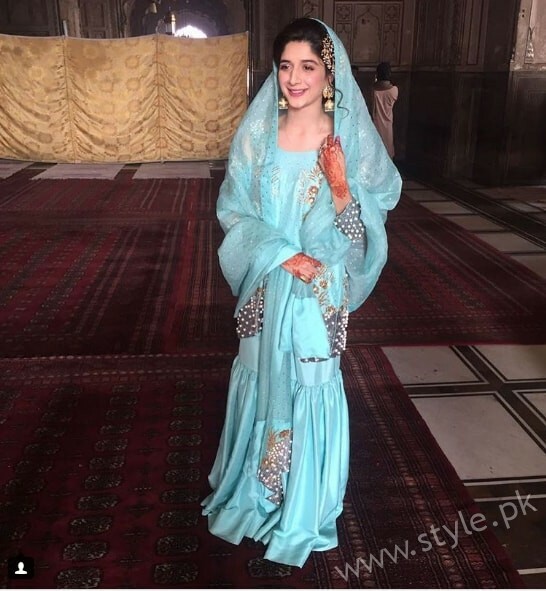 Her Gharara was simple. She combined it with full embroidered shirt. 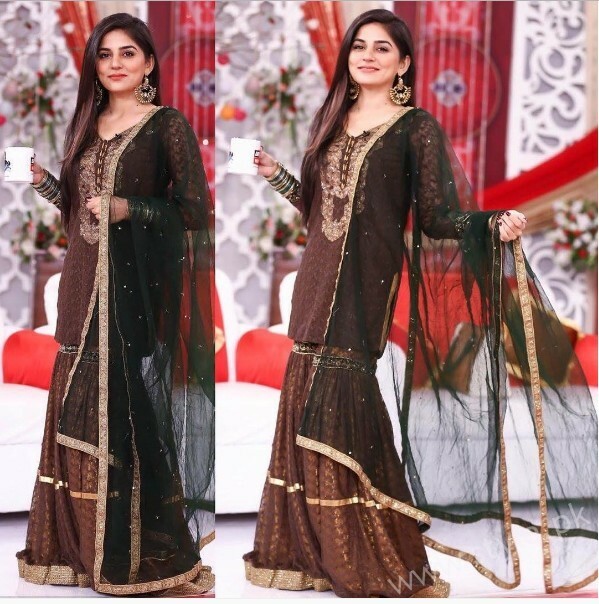 Sanam Baloch looked stunning in Shrara at a Wedding Event. 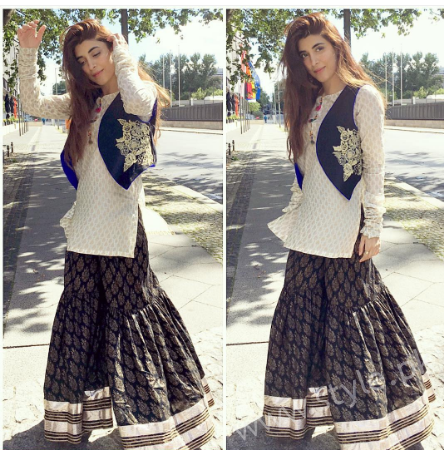 Mawra Hocane looked amazing in silk Gharara combined with a short shirt. 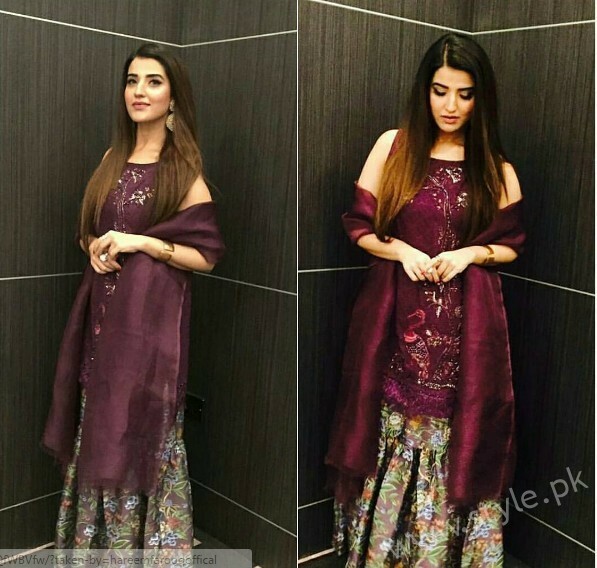 Hareem Farooq wore a printed Jamanwar Gharara with light embroidered shirt. 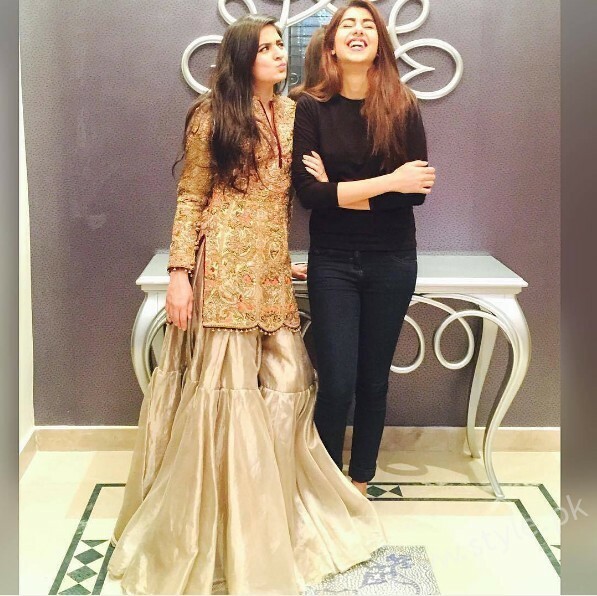 See other actresses in Pakistani Ghararas and Shararas.